If your establishment offers a more complex experience that includes multiple services, then we got just the feature for you. You can forward the visitor to a new line. To see this option. 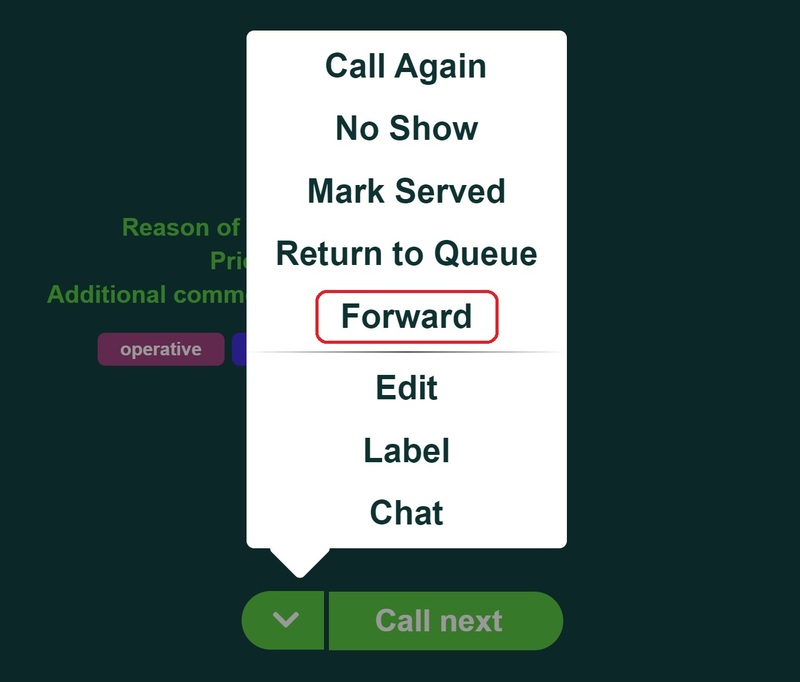 Call the visitor from the waiting line and click on the menu button to show options. When you click Forward you will be presented by a choice of other lines and services at your location. Choose the line you wish to forward the visitor to and click Forward. The visitor is then moved to the selected line. If you don't see a specific line in the selection list of lines. Make sure it is not disabled from the dashboard by going to the Locations tab and clicking on the location's name which lines you want to tweak. Keep in mind that if you have set up any mandatory fields, then those fields have to be filled in before you can forward the visitor to another line.